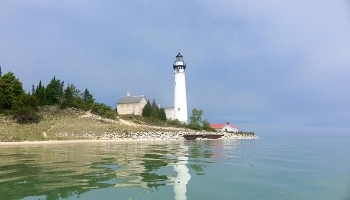 South Manitou Island is a beautiful destination maintained by the National Park Service. 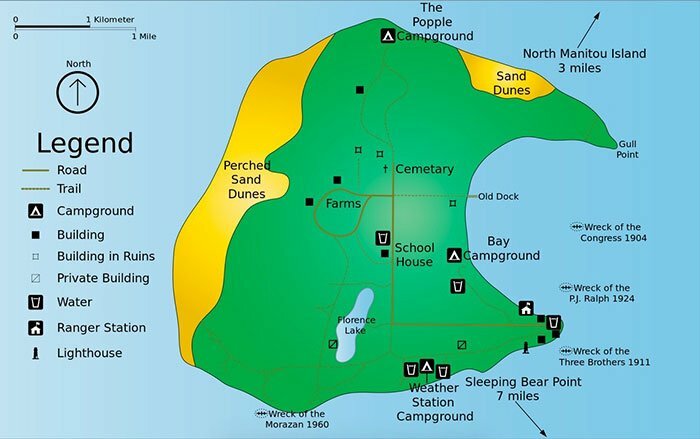 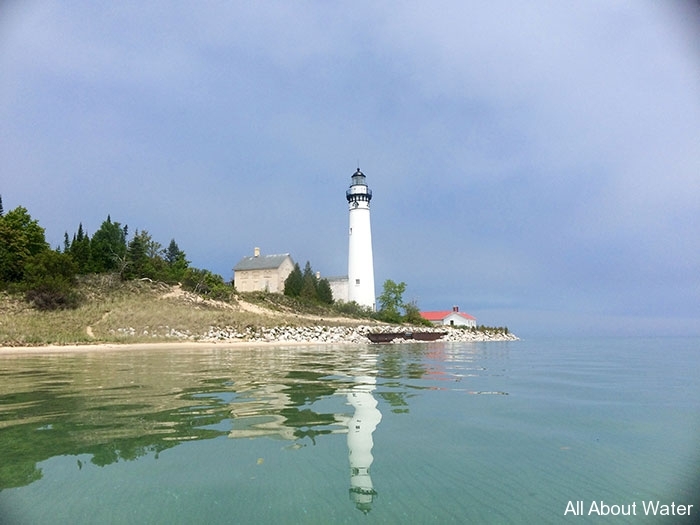 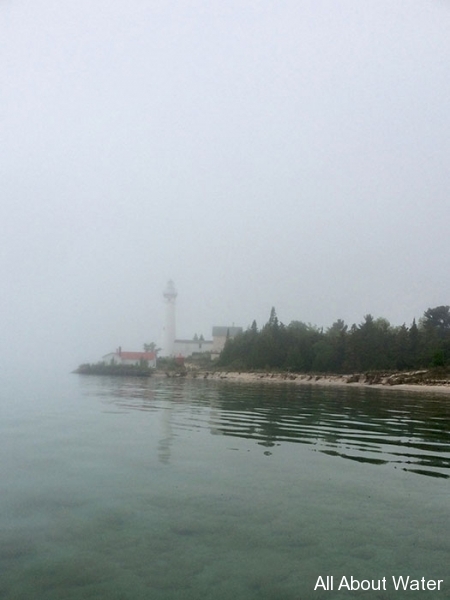 (http://www.nps.gov/slbe/planyourvisit/southmanitouisland.htm) A park pass will be required, but may be purchased at Manitou Island Transit. 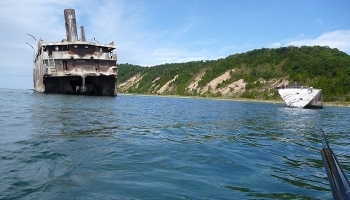 Manitou Island Transit (http://manitoutransit.com/) has regularly scheduled ferry service to South Manitou Island from Leland, Michigan. 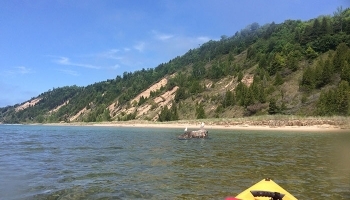 Manitou Island Transit will transport kayaks on the ferry for an additional charge (at the time of this writing, $35 for a one-person kayak, and $70 for a two person kayak). 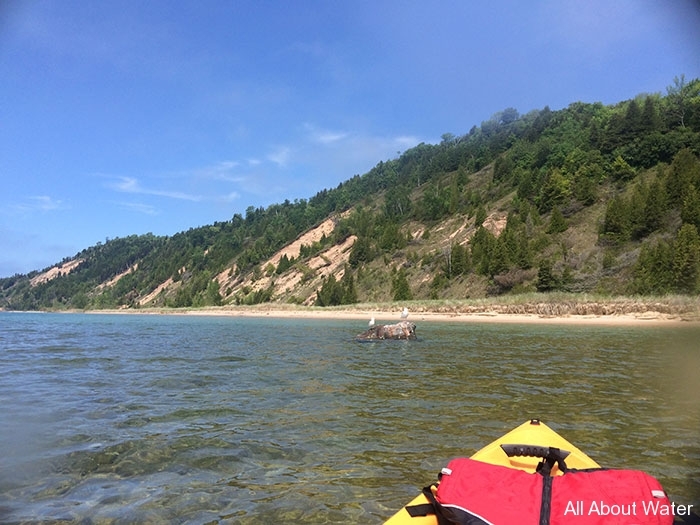 All About Water will deliver rented kayaks to Manitou Island Transit in the morning, and retrieve them from there in the evening. 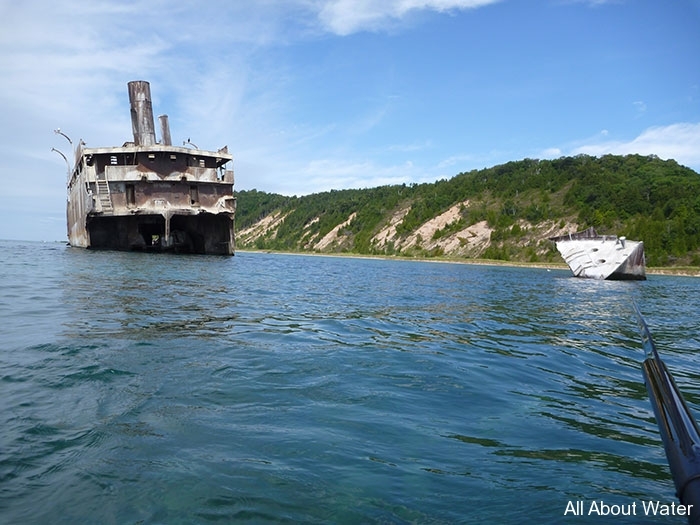 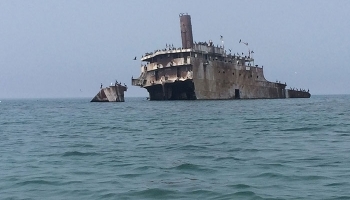 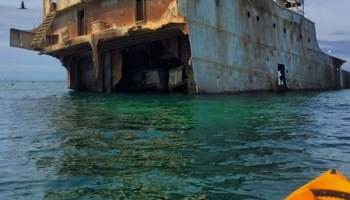 The wreck of the SS Francisco Morazan is a few hundred yards off the south shore of South Manitou Island. 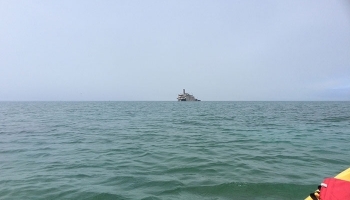 The wreck is in open water. 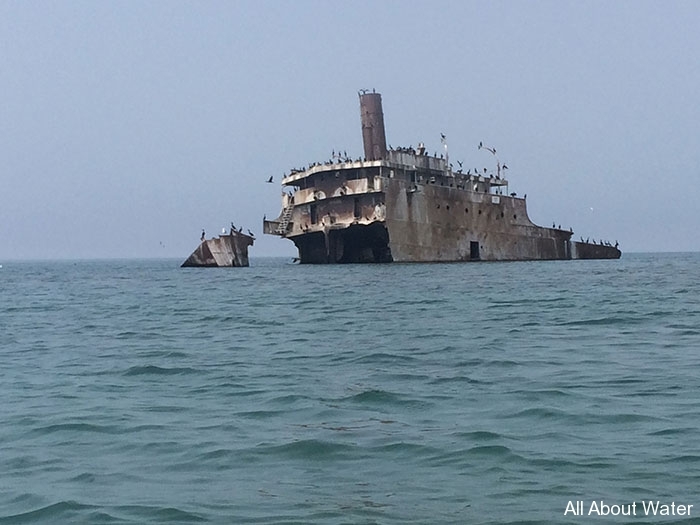 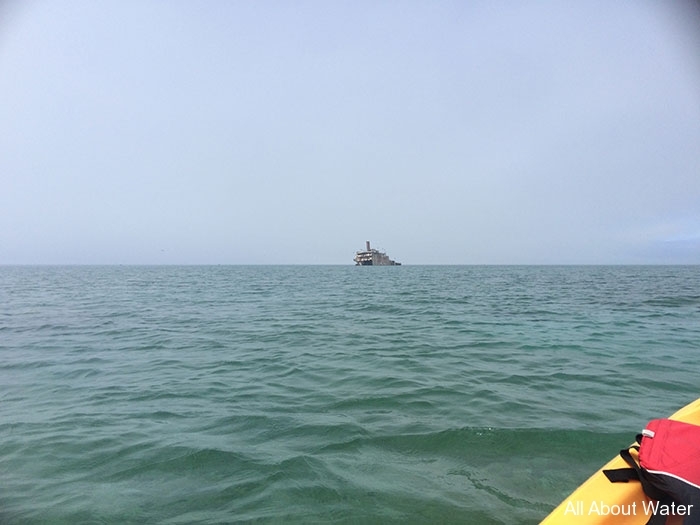 Kayakers may paddle right up to and around the wreck. 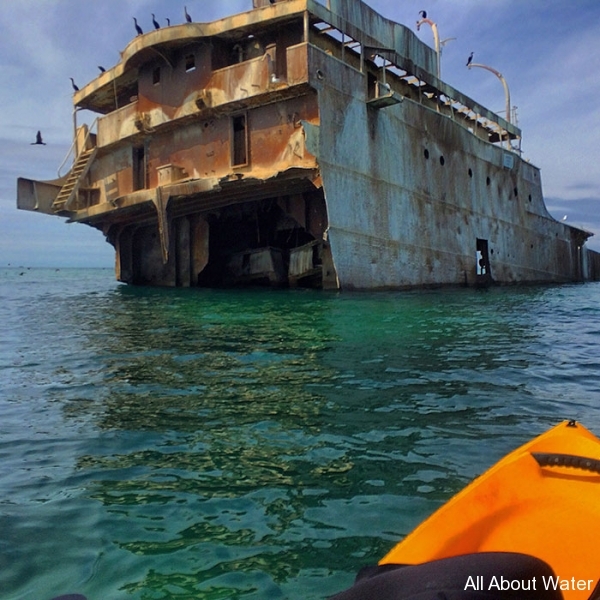 It is the home to scores of birds so the stench of their droppings may be a deterrent. 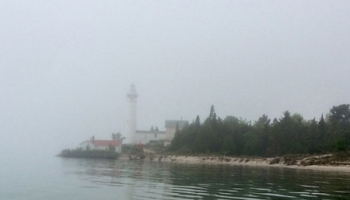 The shoreline from the dock to the wreck is uninhabited, and once past the island lighthouse there is almost no sign of civilization.